- Approved to LPS 1207 - LPCB - Unique mould pattern creates anti-slip surface - High tear and puncture resistance - Cover large areas fast - saves labour time and costs - Manufactured in the UK by Visqueen - Megafilm manufactured in the UK by Visqueen, is a range of flame retardant temporary floor protection films used to protect a diverse range of surfaces. 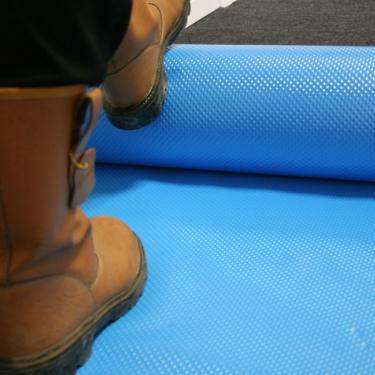 All of the - Visqueen Megafilm floor protection range is moulded (embossed) flame retardant film designed to suit both carpet & hard floor applications, including wooden, vinyl & stone flooring. Visqueen Megafilm offers complete protection during refurbishment and redecoration and is available in a range of grades.